United Kingdom News & Events Christmas presents at the push of a button: How sustainable is e-commerce? In today’s world, Christmas presents are just a click away. Everything from gingerbread to games consoles can be ordered online and will be delivered directly to your door within the shortest time frame. But what impact does online trade have on the environment? In our interview, environment and sustainability expert Valentina Romagnoli from Ramboll explains the opportunities and challenges of e-commerce. The impact of online commerce on the environment has not yet been sufficiently explored. While in principle it can be seen as an opportunity for sustainable development, it also triggers inevitable discussion on the possible challenges it will bring, and currently there is no substantial data to support either position. A simple example is the CO2 emissions impact of online commerce: is it positive or negative? 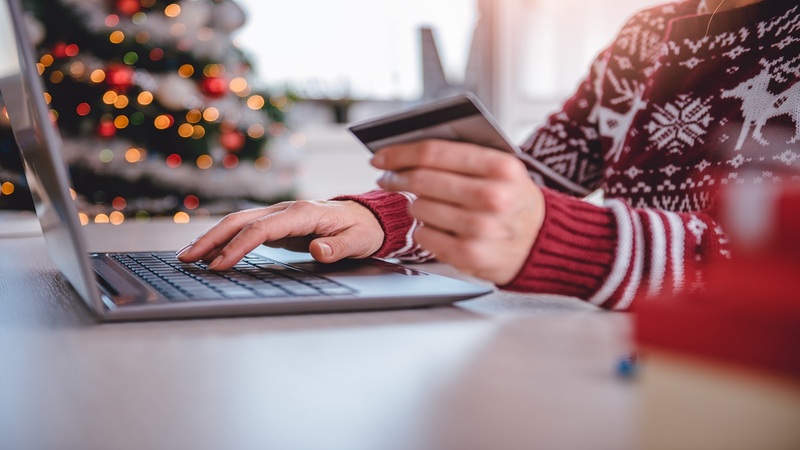 A recent study estimates that e-commerce will bring a reduction of 2% in CO2 transport-related emissions in 2030 compared to total emissions in 2012, basically due to consumers using their car less; in fact, buying online means they don’t even need to own a car. On the other hand, transport-related emissions might increase due to high return rates of products. At Ramboll, we are particularly interested in the opportunities and challenges that e-commerce generates for the circular economy. Can you explain the connection between circular economy and online trade? The aim of circular economy is to close the loop – to minimise waste and resource use by keeping the products in a loop as long as possible, by reusing, reconverting and recycling them. Eco-design plays a key role as it facilitates repairability, durability and recyclability of products. E-commerce, by bringing opportunities to consumers to access a wider range of goods, services and digital content as well as the possibility to compare prices and look for better deals across the Digital Single Market, might hinder the retention of the products in the loop. The wider range of choice can lead the consumer to prefer the ease of home delivery for a new product rather than the effort to have it repaired, to order cheaper products from overseas producers, or sometimes even to buy products due to a time-limited good deal, causing transport-related emissions to increase and potential generation of waste due to ill-advised impulse purchases. Does that mean that we should feel guilty when shopping online or can e-commerce be designed sustainably? What needs to change to make online commerce sustainable? Absolutely not! We don’t know yet if the scale of e-commerce is tipping towards negative or positive effects on sustainability. E-books and online music are simple but good examples: replacing physical products with virtual ones reduces the use of raw materials and the energy needed to manufacture and transport a product, including the related emissions. Moreover, e-commerce platforms can be used to provide information to consumers on the sustainability or environmental impact of a product, as well as comparisons between alternatives. This has the potential to stimulate the consumption of services instead of resource-intensive products or to convince people of alternative options, such as repair. What expertise do you/does Ramboll have in this area? What services? We have recently been awarded an extremely interesting project on the identification and assessment of opportunities and threats for the circular economy arising from e-commerce by the European Commission’s Joint Research Centre (JRC). I am coordinating a team of people from Ramboll's Environment & Health and Management Consulting teams and the Technical University of Denmark (DTU) who will work closely together on the project. In addition, as a consultant in Ramboll’s Munich office, I have worked in several projects in the area of sustainability, with particular focus on the retail sector where I lead a project for the European Commission that brings together 25 of the biggest retailers in Europe, most of whom are selling their products online. Through this project we gained a deep knowledge of the areas of sustainability most addressed by retailers, the gaps between policy trends and the initiatives put in place, as well as the most relevant sustainability related issues that retailers are facing and the difficulties that they encounter in reaching their objectives. We provide a 360° support in creating a solid sustainability strategy building on the available best practices in the sector and the European policy trends, assessing and managing the environmental impacts, providing sustainable solutions as well as designing environmental management systems.